Sandwiches are one of the best options for a fulfilling breakfast and healthy snacking. 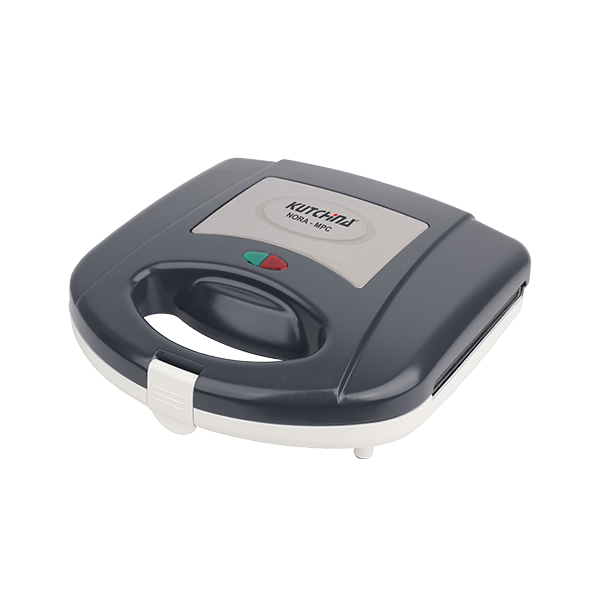 Prepare your favourite sandwiches in no time with Kutchina Nora MPC sandwich maker. You can grill sandwiches in a hassle-free way using this model as its heating plates have a non-stick coating on them. You can grill or heat 2 sandwiches at one go using this model. Also, the plates are interchangeable. You can choose between sandwich and grill plates. The secure handle lock is an innovative safety feature of this model. Why use three separate appliances for baking, cooking, and toasting various food items when you can have these three functions in one? Kutchina Zephire 18L OTG functions as an oven, a toaster, and a grill. Using the appliance, you can easily prepare kebabs, steaks, pizza, muffins, and popcorns. The appliance is helpful in evenly reheating leftover food items as well. This model has 18 litres of capacity and is perfect for a family of 4 to 5. A number of accessories come with this model. These include an enamel back tray, 1 inner lamp, 1 tray handle, and 1 wire rack.